We love geeky clocks here ate Geeky Gadgets, the latest ones are these fun Computer Key Clocks. The Computer Key Clocks would look great on any geeks wall, and each one measures 10 inches square and runs on 2 x AA Batteries. There are four version available, including a Ctrl key, an Esc key, a Home key and and Enter key, they are available for $18.50 each from Phag. 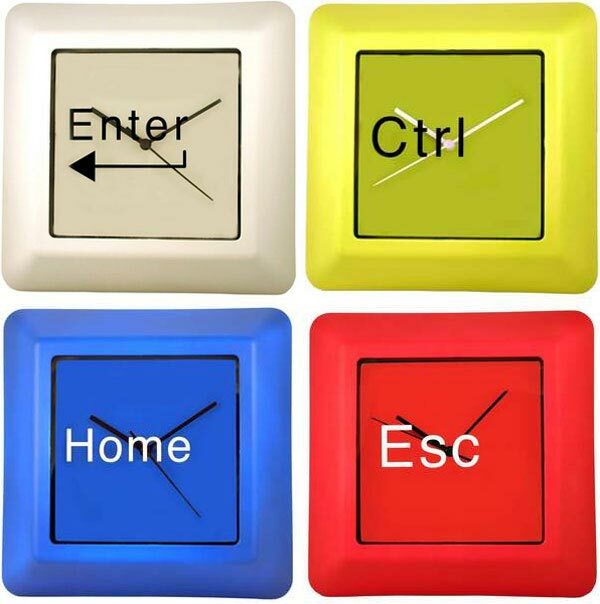 Its a shame they don’t have other keys available, as it would be cool to have a set of three on your wall with ‘Ctrl’, ‘Alt’ and ‘Delete’.